I try not to do too many things during the week after work. Work and school are busy enough, and take up enough of my time, and then I also work on this blog at night once I'm home - adding in other events in the evening is a lot! And I talked here, in this post, about how I'm already tired before I even get to work in the morning... and I really love my sleep. But this past week, there were two events going on that I just couldn't pass up, both music-related. The first was the series announcement for subscribers, where we learned which musicals would be making their way to Pittsburgh next year. 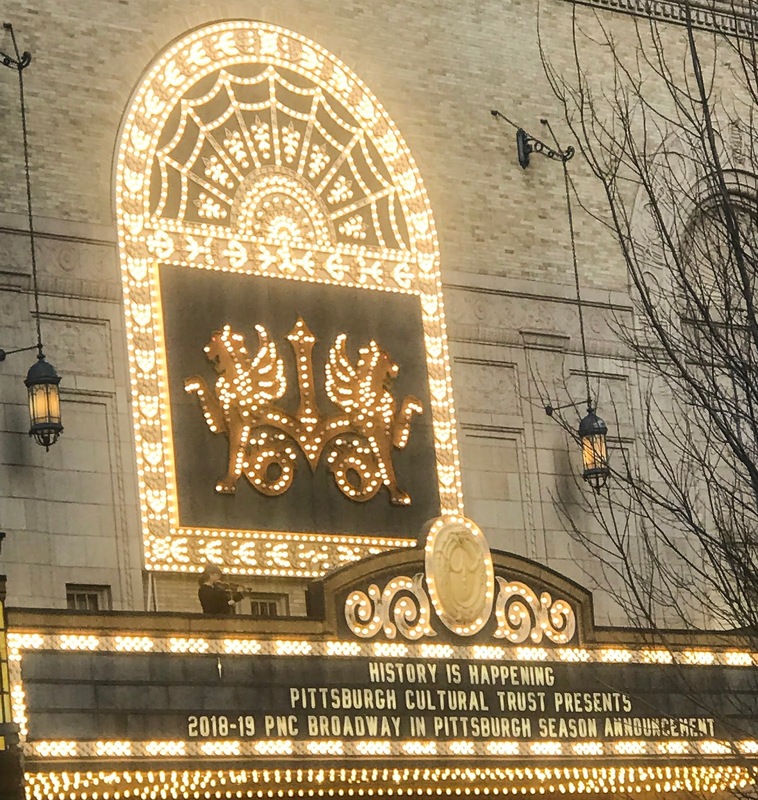 It was an amazing night - we found out that in addition to Hamilton, which we already knew was coming, Dear Evan Hansen, Come from Away, Anastasia, and more are also stopping in Pittsburgh next year! They also had a few performers throughout the night, including one of the current Broadway stars of Come from Away. They also brought the real-life inspiration for her character in the show - the first-ever female pilot for American Airlines. It was such an incredible evening, and made me even more excited for next year's shows! The other event brought me back to the Cultural District to see Rent. Anyone who has ever sung in a choir or knows even a little something about musicals has probably heard 525,600 , about "measuring a year" in the lives that the show chronicles. Rent was one of the first shows to talk about current issues (current when it was written) - it's about the AIDS epidemic in New York - and the music is more current, too. Plus, it's almost all sung, which means that you can listen to the soundtrack and basically understand the whole show before you've seen it! Rent brings back some nostalgic memories for me, too. When I was in college, I wrote for CMU's student-run newspaper, and wrote a review of Rent's touring performance when I was a senior. Because of an interview schedule mix-up, I was invited to the cast party, where I got to meet Anthony Rapp and Adam Pascal. I was so incredibly excited, and have this picture to remember it by (major throwback picture ahead...). I know that there's a movie version of Rent, too - which I do love - but there's something different about seeing the show live. Rent is a show with a message, and you leave feeling so electrified and energized to do something and make a difference! I'm so happy that I got to see it as part of this year's Broadway Across America series. Ha! I totally get you on not wanting to do much on weeknights - I'm tired and want to go back to bed before my alarm even goes off. But this definitely seems like an event you don't want to pass up. "first-ever female pilot for American Airlines" - WHAT? I'm shocked but not shocked. 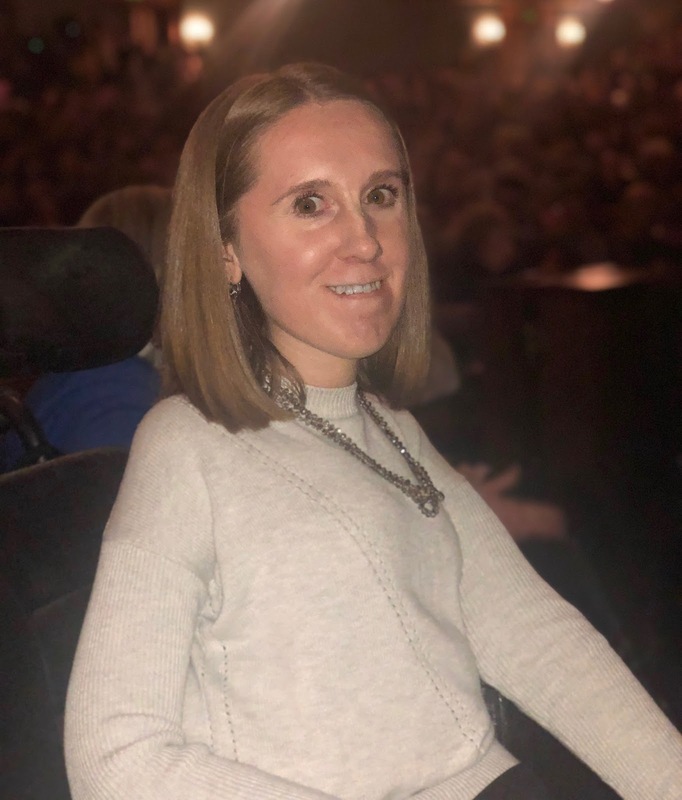 "Anyone who has ever sung in a choir or knows even a little something about musicals has probably heard 525,600 , about "measuring a year" in the lives that the show chronicles." 😂 So accurate. Pretty sure I could still sing along with my RENT CD no problem and i haven't really listened to it in years. And I too saw the show when Anthony Rapp and Adam Pascal joined the tour, your post brought back a lot memories! Yeah, I was definitely exhausted but it was totally worth it. I love that you saw Anthony Rapp and Adam Pascal on tour, too! I think they had such a great chemistry and friendship together that was just so special to see live. My sister and I love dueting to Take Me or Leave Me when we're in the car together (even though it's not really a sister song, ha! ).